Over the years, as a cosmetic breast surgery specialist, I have been referred many patients who seek consultation for second and third breast augmentations due to poor outcomes from the patient’s original surgery. I consider breast implant revision surgery to be a vital component of my practice. For patients who have breast augmentation and have experienced results that did not meet their expectations, results that have changed over time, or some of the common complications of breast augmentation, breast implant revision surgery gives the patient a new opportunity to obtain the aesthetic outcome they were originally hoping to achieve. The reasons for the need to revise the original augmentation surgery are numerous. As with all my plastic surgery patients, I am particularly attentive to the needs and desires of women who are considering breast implant revision. 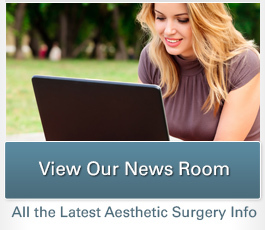 Breast augmentation or any kind of surgical cosmetic procedure is an important and life changing decision. It can be very disheartening for a woman to undergo breast enhancement only to be disappointed with the results. For breast implant revision surgery, the patient and I analyze and identify specific areas of concern and create an operative plan that can produce results that are realistic, aesthetically pleasing, and balanced so the patient can celebrate their outcome and enjoy their renewed figure. Women seek breast revision surgery for reasons including reducing or enhancing the size of the breast implants used in the original surgery, exchanging a saline implant for a silicone implant, correcting the positioning of an implant, implant rupture, or resolving conditions such as capsular contracture (scar tissue forming around the implant, giving it a hardened feel). I evaluate each patient’s individual case with an eye toward ensuring the creation of a more natural, proportionate breast contour that realistically can meet the patient’s goals. 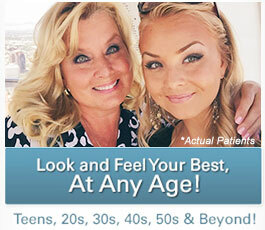 I utilize advanced, proven techniques to assist patients in overcoming their disappointment with their original procedure and achieving the self-confidence and the beautiful cosmetic results they initially sought. If you have concerns or questions about your results after a breast implant surgery, please contact my office today. I will be happy to meet with you for a consultation, and I look forward to being able to help you reach your aesthetic goals.